Google Penguin Update is a new algorithm developed in April 2012 for taking down websites from search results that is entirely different. This update takes its instructions from the Google Webmaster Guidelines and the Black-hat SEO. This setup gives rankings to different websites and has also released several websites that have made steps to recover from previous panda updates. Several web pages have made the effort to filter out the poor content and quality of their websites have increased their ranks on search engine results and are now performing considerably well with a lot better traffic running on their website. It is a much more better functioning than the Panda update and has only 3 updates released since its development which shows how better it has been on performance. 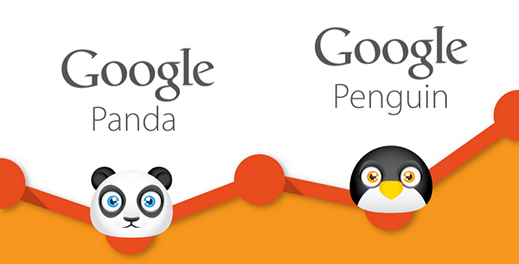 It is a much smarter platform and again there are certain guidelines known as the Google Panda and Penguin Recovery Guidelines if you want to avoid being hunted down by this algorithm and have your website traffic reduced by a huge number. Firstly, you must check your faulty links that maybe leading to your website. There are several technical problems in websites that can cause this problem and they need to be hunted down. You must purify your website from any unnecessary ads and make sure that your content is not copied as it is on multiple pages. You must make sure that your data is regularly updated and also that your XML links are working perfectly fine. Google Penguin Update is a proof of state of the art Artificial intelligence that is running a much tough to manage by human tester’s job. Hopefully these updates will assist you and your websites further on and you will face minimum problems further ahead.